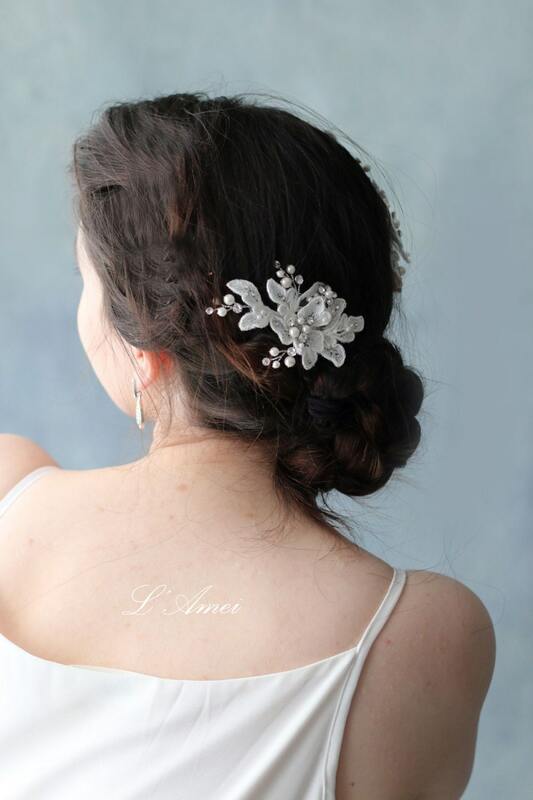 This is a gorgeous beaded lace bridal hair accessory. 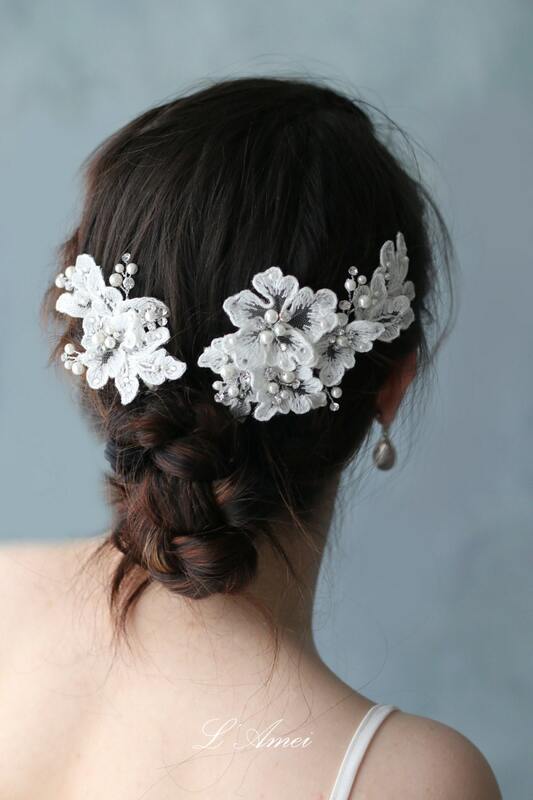 It has a special vintage feeling and will compliment almost any hairstyle. It is attached to a silver comb for easy positioning. 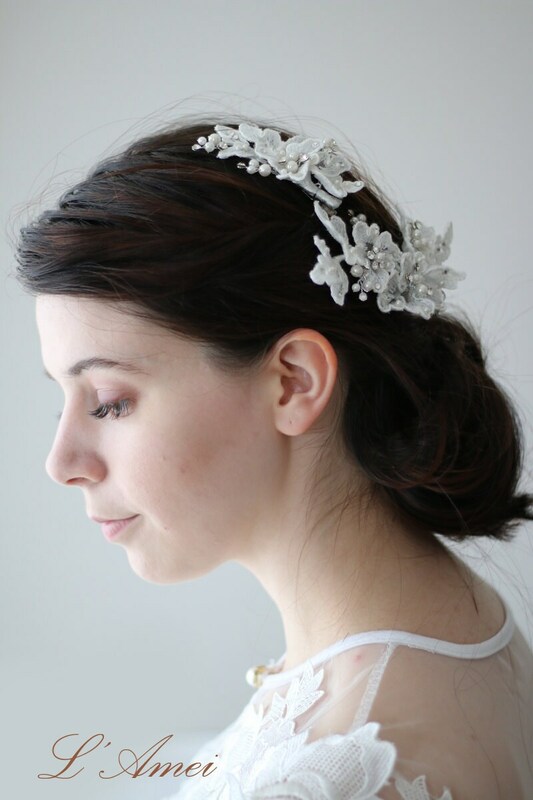 It can be worn in many different ways, and it looks amazing with a long veil. 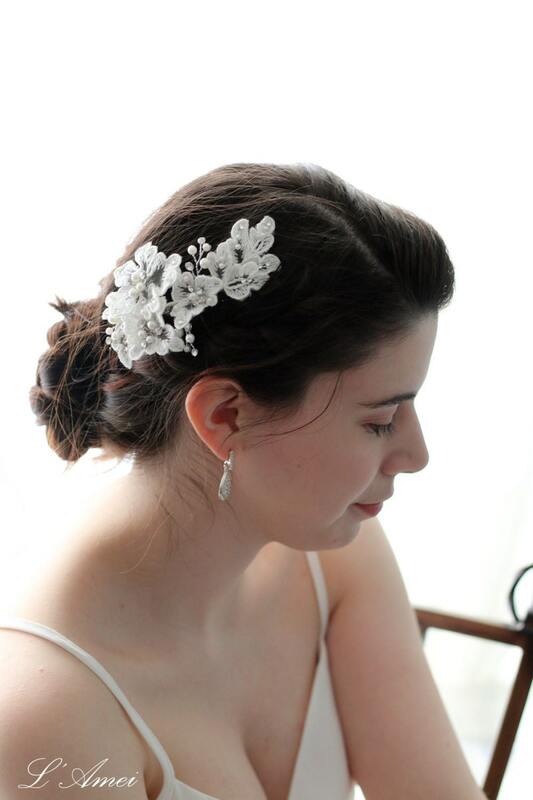 * featuring a hand cut and shaped lace flower. 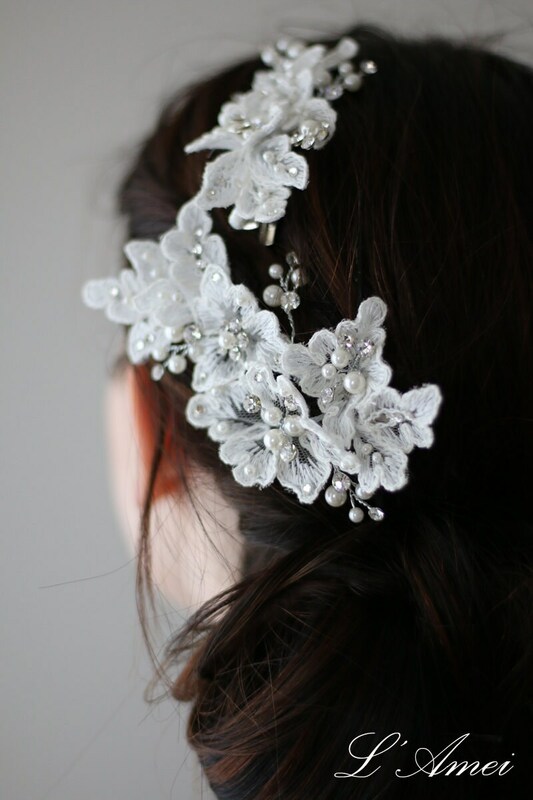 * embroidered swarovski rhinestone crystal flower center.